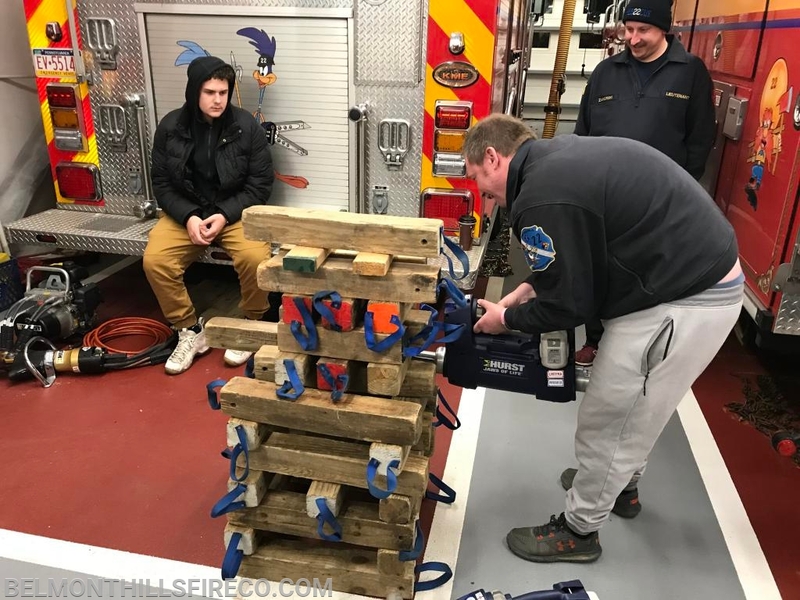 Firefighters gathered this evening for our weekly training drill. 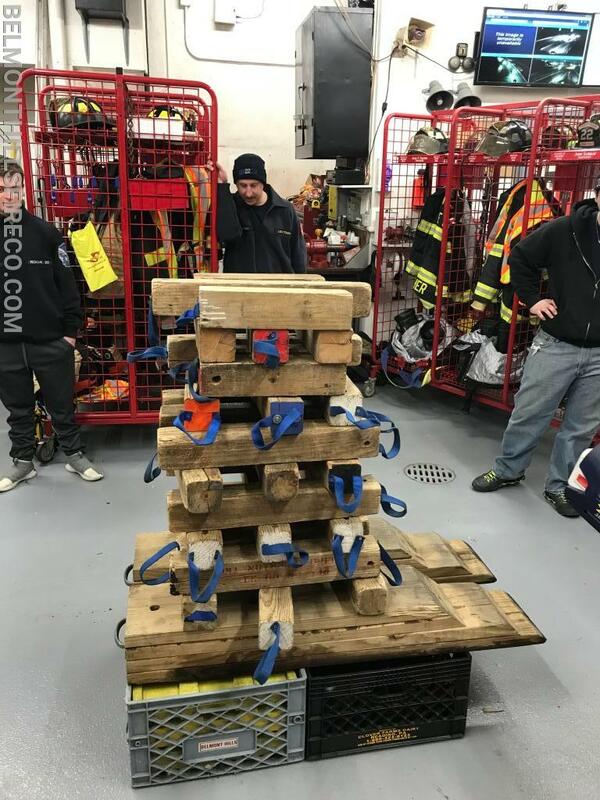 This week was focused on our rescue services, and one of our members suggested we play Jenga! 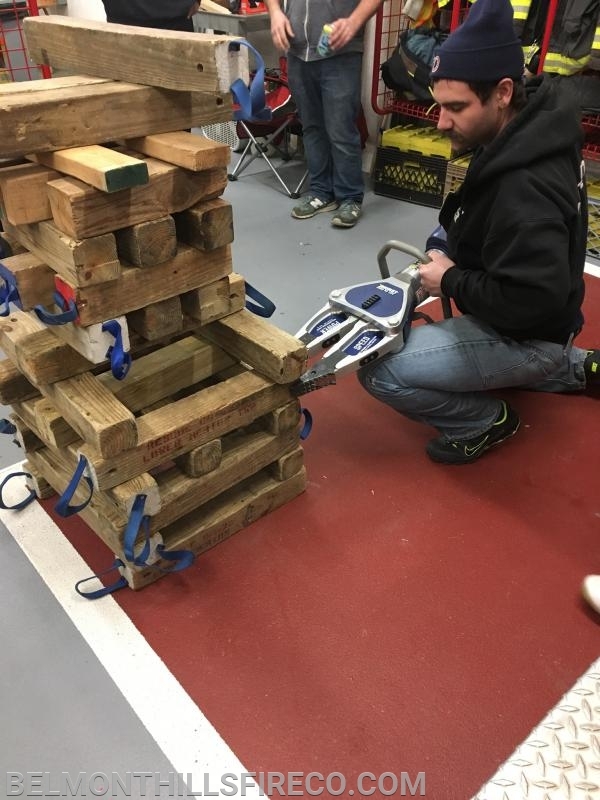 We stacked 4x4s and then worked with tools to remove the blocks. 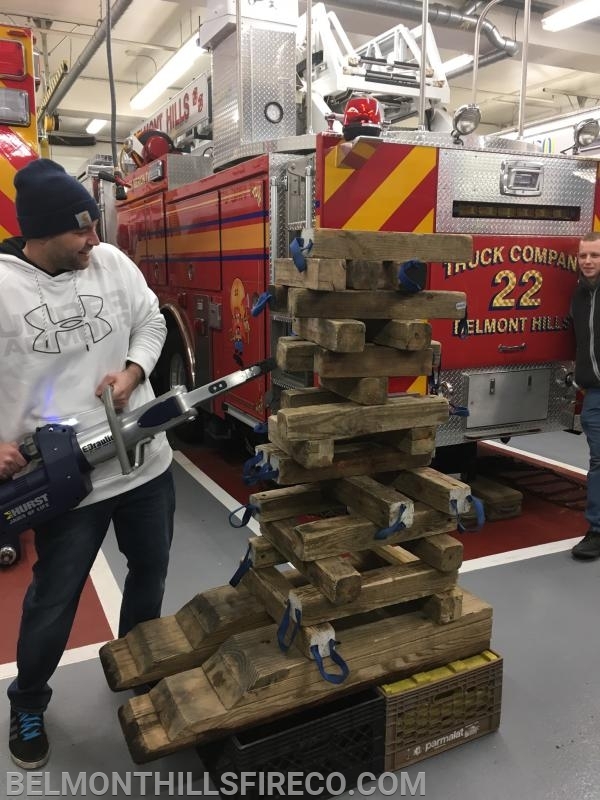 This drill helped our members work with our tools and focus on making small, careful, and precise movements.